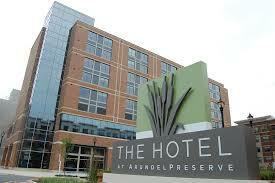 The PROMISE Engineering Institute (PEI) will join the University System of Maryland’s PROMISE AGEP (Alliance for Graduate Education and the Professoriate) at the Hotel at Arundel Preserve in Hanover, Maryland. The PROMISE Engineering Institute is partnering with the SREB Compact to develop a streamlined “faculty preparation” set of modules for the PROMISE Summer Success Institute (SSI) through the “Postdocs, Professors, and Professionals (PP&P)” module. The SSI will include talks such as communicating research, understanding expectations for tenure, expanding publishing reach through collaborations, and choosing relevant engineering research directions such as those posed through the National Academy of Engineering’s Grand Challenges (e.g., “restore and improve urban infrastructure,” led by hazard and disaster mitigation researchers from Morgan State and partners from the Bill Anderson Fund). The PROMISE Engineering Institute will “co-brand” the PP&P workshop as a satellite – regional session of the SREB Compact. The partnership includes an SREB sponsored speaker who will focus on preparation for faculty positions. The PROMISE Engineering Institute will also provide travel funds for students to attend the SREB Compact, which rotates between Georgia, DC/VA, and Florida. In an effort to share the training received at the SSI PP&P SREB Satellite, participants will engage in the SREB – PROMISE Engineering Institute “Microblogging and Analytics” partnership. This social media extension builds upon a pilot where PROMISE students who attended the SREB Compact and the SSI used Twitter to share information with peers who were not able to make the trip. The PROMISE Engineering Institute will track hashtags and facilitate Twitter chats about preparation for faculty positions at the SSI and the SREB Compact. The SREB Compact and the SSI are also important to scholars because they connect pursuit of academic careers to issues of social justice, and dialogues that allow scholars to keep their academic identities and their personal identities connected.